A training was conducted to enable groundnut seed value chain actors to establish functional innovation platforms (IPs) in Uganda. The training provided participants with an in-depth knowledge on the innovation systems approach, innovation platform, seed value chain mapping, steps to establish functional IPs, learning within IPs, roles and responsibilities of IP facilitators with emphasis on documentation of IP processes. 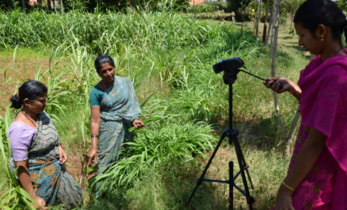 Through IPs, groundnut value chain actors have the opportunity to identify constraints and come up with solutions on how best to address context specific challenges, opportunities and help to scale up innovations. 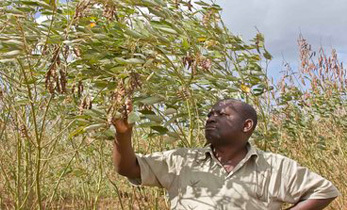 In Uganda, groundnut is an important legume and ranks second after beans. The value chain for groundnuts consists of many different actors including input suppliers, seed dealers, producers, traders, processors, exporters and consumers. 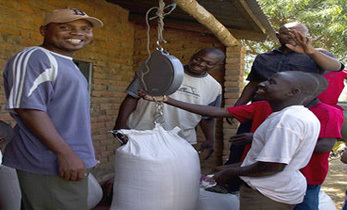 The value chain is dominated by smallholder farmers who sell their surplus produce to rural traders (sometimes through agents) in either unshelled or shelled form. 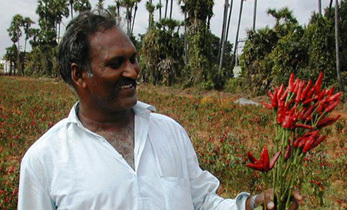 Due to poor quality of seeds, only about 33% of the produce can be considered as marketable. Intermediaries link producers and buyers. Most of the times these intermediaries are farmers or members of the farming community. They normally guide buyers who are not familiar with the location of different farmers. Transport of produce and delivering market information are the major services they provide in the value chain. At times they buy farmers’ produce and store it in urban trading centers which are easily accessed by buyers (typically urban wholesalers). As no large-scale groundnut processing units are present in Uganda, processing is done by traders and wholesalers based in urban areas as a means of adding value before selling. In this context, IPs can be considered as a space for interaction and coordination between different stakeholders in the value chain to capitalize on opportunities, solve problems and take actions to innovate practices of all actors involved in the innovation process. The objectives of the training were to support stakeholders to better understand the rationale behind the IP and to: (i) strengthen their capacity on key steps to establish functional IP (ii) share tools to facilitate IP (iii) develop their plan to have functional IP. Emphasis was on implementing the groundnut seed roadmap in producing and delivering 267 tons of basic seed and 4000 tons of certified/quality declared groundnut seed in Uganda by 2019. The training brought together 23 participants such as researchers, extension workers, seed companies, local seed business representatives, members of farmer seed producer organizations and individual seed producers, dealers, retailers, government seed program managers, and representatives from partner programs involved in groundnut seed sector development. 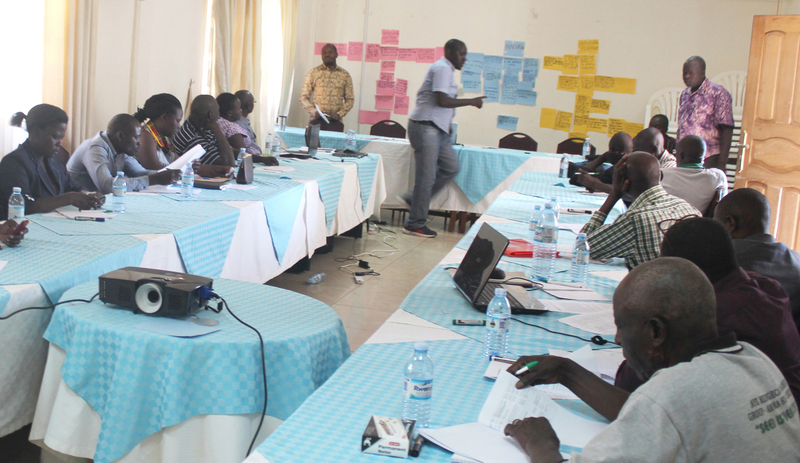 The training was conducted on 12-14 January in Uganda. 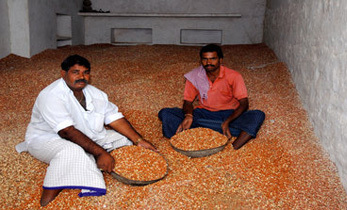 A workshop was organized to share experiences on groundnut and common bean seed business. 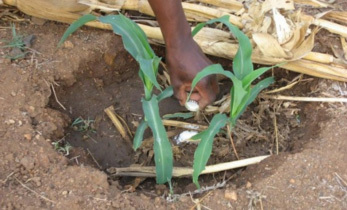 It included discussions on principles of seed production, processing, sampling, testing, marketing, resources required to run the seed business, and partnership development within the seed value chain. Participants were further introduced to: the use of Information and Communications Technology to expand seed business, different components of inclusive seed business, developing seed business plans, and tools to keep business records. Practical group work was organized to map local seed demand in their area. The group work also included developing an internal and external quality assurance system, mobilizing finance, equipment and human resources. 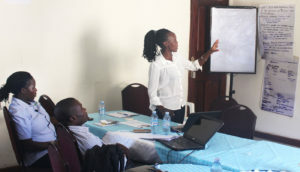 This workshop took place on 16 – 19 January in Uganda and was attended by 34 participants. Both workshops were facilitated by Dr Essegbemon Akpo, Scientist – Seed Systems Specialist, ICRISAT, Nairobi; Enock Maereka, Seed Business Development Specialist International Center for Tropical Agriculture (CIAT), Lilongwe; Dr Jean-Claude Rubyogo, Seed Expert, CIAT-Arusha and Dr Monyo S Emmanuel, Consultant and groundnut breeder, ICRISAT, Nairobi. Partners: CIAT, International Institute of Tropical Agriculture (IITA) and National Agricultural Research System (NARS) in Ethiopia, Tanzania, Uganda, Burkina Faso, Ghana, Mali, Nigeria, India and ICRISAT.